I thought I would do things a little differently for the month of June – you know, spice it up a little! Spring has got me in the mood, what can I say. So – rather than product test, my challenge for this month is to try and create a set of all natural cleaning products for our home that actually WORK. You can do this quite cheaply, and many of the items are already in your kitchen. There will be a few things that I will purchase. Thanks for reading! I hope to hear from you soon. Oooh – great idea. I’ve often thought of making my own but lately I’ve been barely getting around to cleaning let alone making my own cleaning products. STILL – I’m lookinf forward to hearing how it went! Thank you for your comment Lara! Believe me, the cleaning is always the last thing considered in this house too. It’s something we are perpetually behind with! I will be posting an “after” photo sometime this week showing everything I’m going to be using for all natural cleaning. I’ll let you know how things go especially with challenges! I’ve been trying to replace pretty much everything with vinegar or baking soda, depending on the job. Unfortunately, I’m meeting with a bit of internal resistance :(. But in my experience, they are not just healthier (ie I don’t worry about residue my kids might come into contact with), they also work pretty well. I was sold when I first tried vinegar on the taps at our old place (hard water well). I had scrubbed and scrubbed at those water stains for months, and they just melted away under the vinegar. And nothing beats baking soda in the toilet. I was so glad to get those foul cleaners out of the house! And not just for residue – the fumes! Ugh! Thanks for your comment! 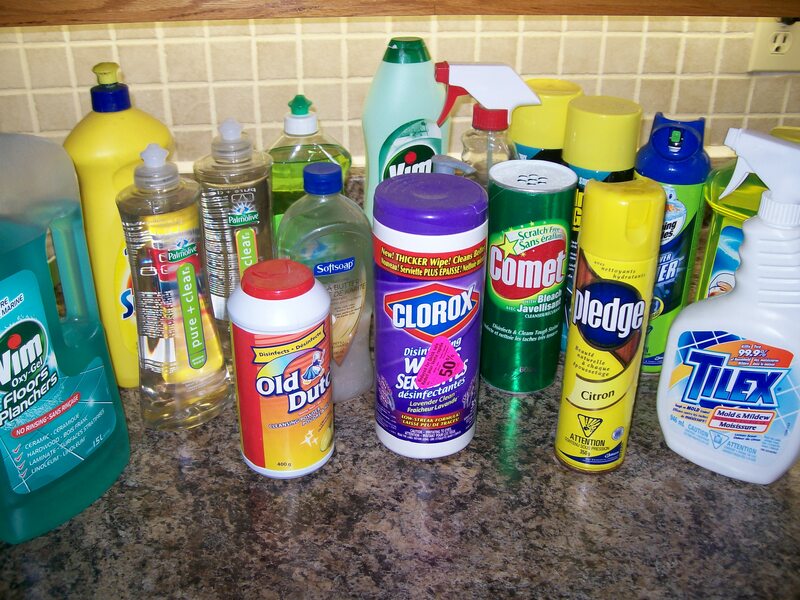 I am having lots of success with using all natural products for cleaning! I do not miss the fumes. I remember spraying Tilex in the shower and then having a headache for hours afterwards. Yuck! !